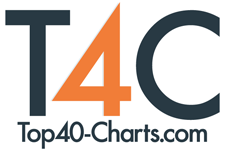 New York, NY (Top40 Charts) With the launch of record producer Michael Beinhorn's pre-production services, musicians and bands now have a unique and cost-effective opportunity to work directly with a seasoned recording industry professional, regardless of what stage they are at in their careers. The Grammy-nominated music producer has played a pivotal role in the making of many of the top records of the last four decades. Some of his production credits include work on landmark albums from the likes of Soundgarden, Red Hot Chili Peppers, Korn, Marilyn Manson, Hole, Soul Asylum, Ozzy Osbourne, Mew, Social Distortion, Violent Femmes, Herbie Hancock, The Bronx, The Golden Palominos and Black Label Society. His recordings have achieved combined worldwide sales of more than 45 million albums, and he is one of only a handful of producers to have two separate recordings debut in Billboard's Top Ten in the same week, with Marilyn Manson's "Mechanical Animals" (#1) and Hole's "Celebrity Skin" (#9) which also earned him a 1998 Grammy nomination for Producer of the Year. In recent years, Beinhorn has turned his attention to the concerns facing today's artists and producers attempting to maintain their creative ethics and focus on the recording process. He has been increasingly active in mentoring fellow artists and aspiring record producers. To that end, Beinhorn has embarked on his latest venture, offering affordable pre-production services catered to all musicians and bands. Beinhorn says, "For every successful project I've produced, there has always been one constant- a period of evaluation and pre-production before the physical recording began. This includes such elements as song assessment, performance assessment, song arrangement, rehearsal, etc- in degrees proportional to the needs of each project. The fact is, recordings always have a greater shot at reaching their full potential if they are well prepared, as opposed to being rushed and casually thrown together. A great analogy is building a house- the most solid foundation guarantees the most resilient house, while a weak foundation guarantees that the house will eventually fall apart. Although recording budgets have shrunk, contemporary artists who want to make the best possible music face the same issues they always have. I feel that having less money to work with shouldn't stop artists from having access to processes such as pre-production so they can get the very best out of their work. For this reason, I offer pre-production and music evaluation- exactly the same processes that I have used on classic recordings from Soundgarden's "Superunknown" to Marilyn Manson's "Mechanical Animals", to Korn's "Untouchables". Michael Beinhorn has lived his life in the pursuit of artistic expression, first as a visual artist, then as a performer, and finally as a record producer. Forgoing a promising career in medical illustration, Beinhorn began his musical endeavors in 1979 as co-founder of the seminal New York musical collective Material. The group's singular style and strong artistic personalities led to their producing their own recordings out of necessity. As the band rose to prominence, in 1980 they were approached by Brian Eno, collaborating on the track "Lizard Point" from Eno's acclaimed recording "Ambient 4: On Land." In 1983, Beinhorn co-produced Herbie Hancock's landmark recording, Future Shock, which included the groundbreaking cut "Rockit." The song, co-written and co-produced by Beinhorn, would become Columbia Records' most successful 12-inch single ever, selling over three million copies and winning a Grammy in 1984 for Best R&B Instrumental Recording. After departing Material in 1984, Beinhorn's production career began to reach new heights. His work on the Red Hot Chili Peppers' breakthrough albums "The Uplift Mofo Party Plan" and "Mother's Milk" was instrumental in propelling the band to stardom. Beinhorn gained a reputation for producing a number of "high watermark" albums that have helped to define the careers of a diverse range of artists, including Soul Asylum, Hole, Soundgarden, Ozzy Osbourne, Courtney Love, Marilyn Manson, Social Distortion, Korn, Golden Palominos, and Mew. In addition to producing, arranging, engineering, co-writing, and performing on many of his projects, Beinhorn's attention to detail and tireless pursuit of sonic excellence led him to develop and commission the first two-inch eight-track Ultra-Analog multitrack tape recording format. in 2015, Beinhorn authored the book "Unlocking Creativity: A Producers Guide To Making Music and Art", published by Hal Leonard. He continues to inspire the artists he works with to excel to greater heights, with an unwavering commitment to sonic exploration and creative excellence.